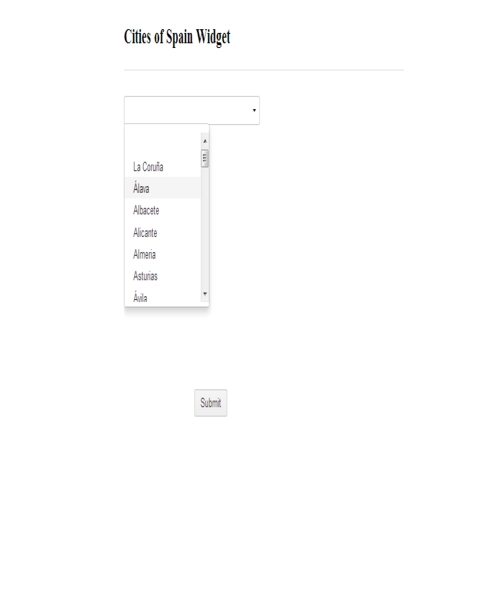 Have you had a requirement in the past to list down all the cities and provinces of Spain in your form? You must have spent quite some time to find out the list. JotForm presents you an exciting widget which i.e. 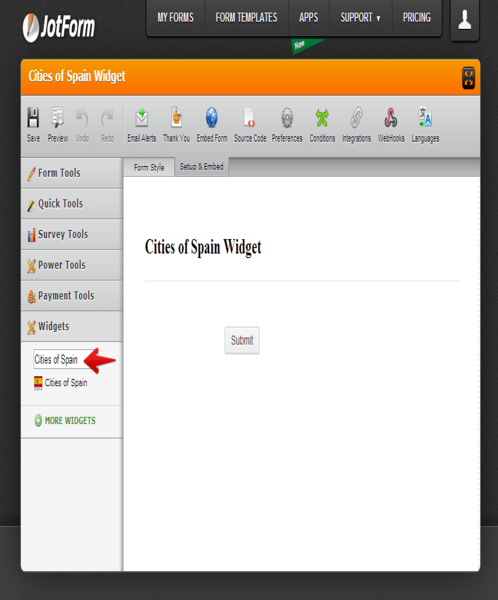 &amp;quot;Cities of Spain Widget&amp;quot;. 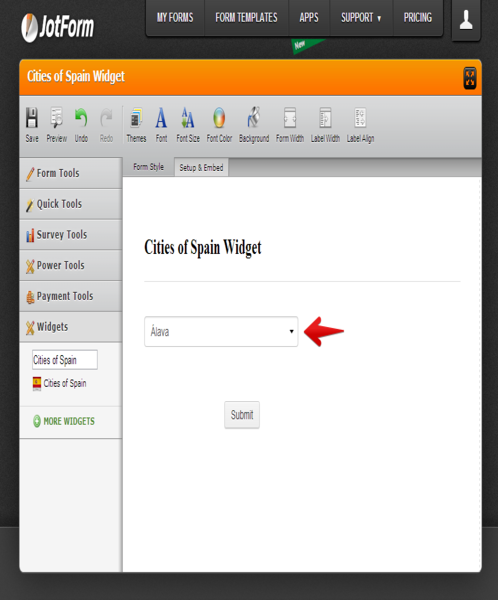 You just need search and add the widget in your form and you have the cities of Spain in your form displayed.